This magnificent property is located on 12.22 acres and is the largest remaining piece of privately held property in Cook County. 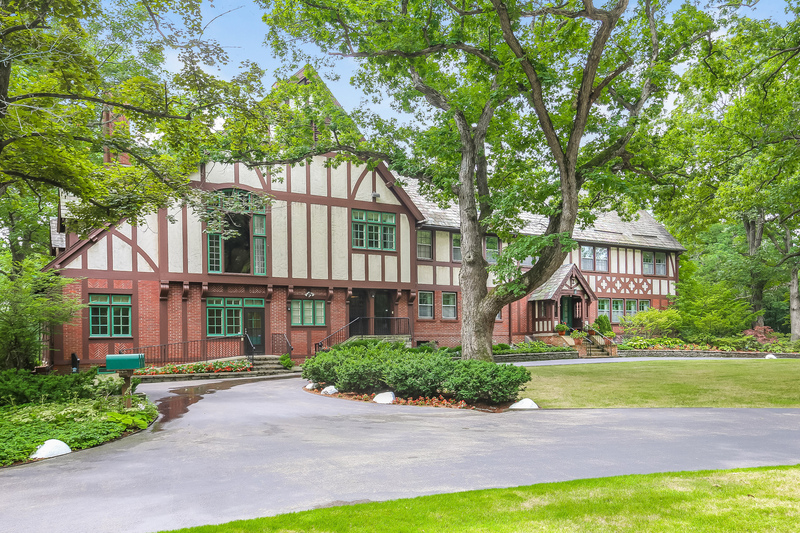 Built for vacuum cleaner magnate H. Earl Hoover, the home was acquired in the 1920&apos;s and converted into its current English Tudor style along with a coach house, greenhouse and stable house. The beautiful entrance gates welcome you onto the sprawling estate grounds. The great room boasts cathedral ceilings highlighted with oversized beams as well as a limestone fireplace, hardwood floors imported from England, and 12 foot windows overlooking the wooded estate. The sun room has floor to ceiling windows, affording views of the terrace and sunken garden. Extensive plaster and wood work by local craftsman throughout. Slate roofing with copper gutters and flashing adorn all of the structures. The coach & stable houses are built out and incorporate additional living space along with 4 garages each. The property consists of two PIN numbers. Land can be developed.